1. Just buy and install a Brown Gas welding machine, 220V – 400W ; 120L/hour, (for 300 USD here in Asia (products made in China)). 2. buy and install an inverter to run the Brown machine from the battery, inverter 12V-220V, 400W,( for130 USD here in Asia). A good Brown Gas machine (3 Watt/hour per liter of gas) is very efficient . it makes gas, it can save fuel on your car, but it has many dis-advantages and so it won’t stand long time. Main problems are HEAT that bring the water to boil and escape very fast from the container, and creating high dangers of burning/explosion. 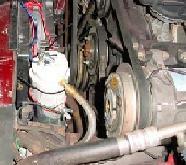 An other problem is that plastic containers, simple to use, are not strong enough to handdle an gas explosion, due to very rare ‘back-fire’ (flame in the carburetor that ignite the gas, and goes back to the electrolyser),so it’s dangerous; the only safe material for electrolyser is METAL. 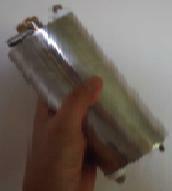 And if you use pipe or mineral or sea water it wil help to oxydise the metallic plates and eat them. Also many electrolytic complement/catalysts are toxic, see the dedicated part ‘TRICKS’ (read it properly before starting in this field, it could save your life…). 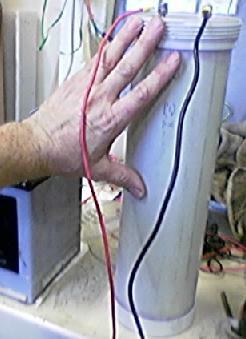 You’ll be sure to end up with a cheap, simple to build, robust, safe and very efficient electrolyzer. It’s what I do for myself and friends, and we get interesting fuel saving, from average 35% to 65%, depending on cars and use. Some of the last WORD drawings I made for the workshop to build it. After few days the electronic was no more than ‘a hope to get one day an extra-ordinary production of gas’, and used to look at the creation of white powder coming out of the Electrodes…What is it, Where it comes from ?!? We discovered that the straight12V from the battery was giving more gas, through more Amps. We tried many kind of electrolytes, some could have killed us, but I found warnings on the net, at oupower.com essentially that saved us. Chlorine and salt will give DEADLY chlorine gas, and Baking Powder (Bicarbonate) will give away also DEADLY Carbon Monoxide, so NEVER use these 3 items with the water for electrolysis purpose ! All other water mixes give red deposit, and tend to eat the electrodes, a lot of troubles. Using pipes, like in Meyer design, we discovered the powerful explosion of Hydroxy; the little shaking of one of the plastic container made a tube’s rubber separator fall down, and then two opposite electrodes coming too close from another, a spark occurred that ignited the gas in formation in the water and the chain reaction made the plastic box explode in pieces next to my friend’s arm, letting him a lot of bloody marks. Be very careful with Hydroxy, because it is a very explosive gas ! Then we discovered that more than 16 Gauge thick Iron pipes can resist to the explosion of Hydroxy, like those the demonstrator use in Brown Gas Denis Lee shows, it implodes = no more danger ! 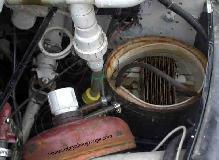 And of course we used 1 bubbler in series between the cell and the carburetor, for always more safety. healthy battery and alternator are important for max imum power to the cell, and with an homemade ‘Vortex valve’ installed also) and a good feeling of ‘Pick-up’ as we say here for more power under the pedal. Water Electrolysis works very well for fuel saving ! Outside temperature of around 30 degree Celcius, at sea level. 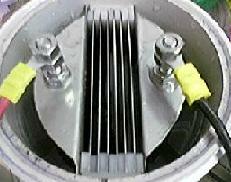 Series cells give a SUPER EFFICIENCY in gas production, straight from alternator DC ! So now we have a suitable electrolyzer (6 cells in series, distilled water with sodium hydroxide, straight DC) and it gives us important fuel savings and no problems of maintenance). The first 2 weeks the starting current was 5A, going up to 10A when hot ; now we changed the electrolyte and we have 10A at starting, it seems that the cell is more efficient now ! Many local friends are now equiped with an Electrolyser, 100% made in the ‘iron workshop’, and the hope of a better world take a boost. For a 2.4L Volvo we need 15 Amps (1 litre of gas per minute) to save an average city/long distance of 50% fuel saving. Yes 2 times less fuel, and with just one double Electrolyser (like shown in the drawings). 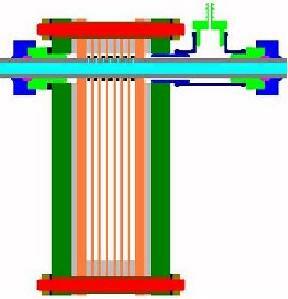 ## The double size Electrolyser, shown in the drawings below, is made of 7″ large x 9″ high, 0.8 mm thick inside, 1.5mm outside, 304 Stainless Steel plates. The external plate where the exit 9 mm diameter small SS pipes are welded is 1,5 mm thick. 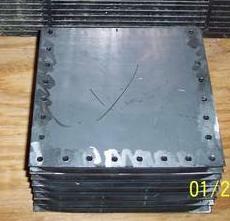 Hollow square pipes SS are used for the external frame used to compress the plates/gaskets, and for the water tank. It has been tested for explosion proof; while running the exit of the pipe is ignited; the gas burn back to the electrolyser, pppffffffffff … and nothing, it resists explosion, even after multiple firing (0.8 mm external plates were strong enough to resist, but get ‘metal forming’ effects, so we went for 1.5mm thickness). No need bubbler or FlashBack Arrestor ! ALL in ONE concept. The gaskets are made of 4 mm ‘ruber’ sheet, without rope inside, to prevent water leaking along the rope. When compressed it lets a 3mm space between the plates. We install it in the boot of the car, because under the hood it is too much hot. 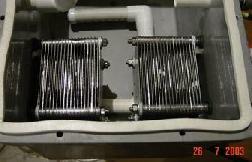 This double electrolyser can work with 30 Amps without problems, for small lorries, with outside mounting. With 10A, we get only 30% average saving on the 240 Volvo. Here fuel still cheap compare to Western countries, at 1/2 Euro per litre. Pictures next time. It is as big as I could fit in the back of Aircooled Beetle. PVC tubing 15 inches high, 4 inches diameter. 8 plates > makes 7 cells. I wish to get my VW running partly on Hydr/Oxy to save fuel costs. Then I would hope to improve through pulsing / High voltage spikes / Bedini etc to reduce Petrol usage more – maybe to 40% Petrol only. Measurements and clearances: 83mm x 165mm x 14 Effective area. 3mm Gaps between plates. 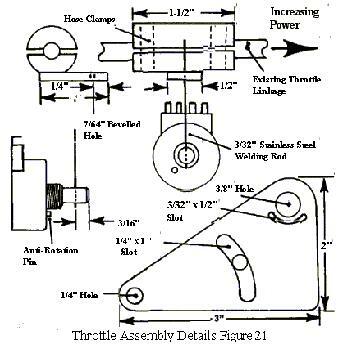 Electrical schematics: 13.4 V across outside plates only. It is a series open topped electrolyzer. 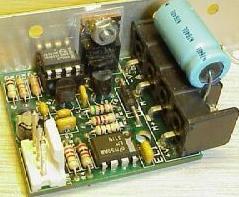 Cell Voltage: approx 1.9 V per cell. Amperage: at this stage only 3 A on bench, hope to get it up to about 10 A in car. Temperature: Stays cool thus far. Electrolyte: Sodium Hydroxide….Caustic Soda….concentration – approx18% . Cell surface area: approx 15″ x 3.6″ x 14 sides. Electrode material: stainless sheet,approx 0.8 mm, probably 403. Power source: Battery charger – through car 12V batt. Engine details: 1.9 L ,4 cylinder. Stainless valves, Alloy heads, Forged alloy pistons,compression 7.6:1, very low overlap cam timing. Dyno tuned last month at 66 BHP at rear wheels @ 4800 RPM. The top is clear perspex & I machined on the Lathe the recess for the “O-ring” on the outside edge. The dividers are 3mm thick perspex (I think- not sure of material) x 6mm.I wanted to go narrower than 6mm to get more surface area but decided that the plates needed more stability – being so thin. 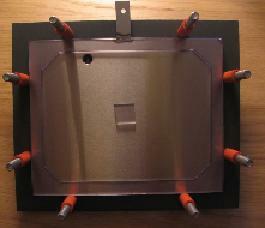 The end plates Over Lap the tangent pieces – so they are 6mm wider than the floating plates. 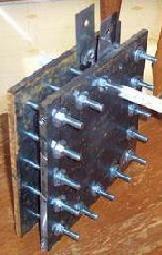 The top ends of the end plates are longer & bent over to allow easy bolt connections. Bolts are 316 Stainless 1/4 by approx 1 1/4 inch. 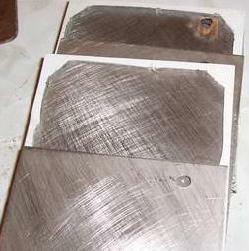 Spring washers cut into the end plate connections. This is it with clear top, O-ringed and will be clamped down with screw end. Just waiting for the silastic to fully cure. … Dismantled the cell, Cross Hatch sanded with rough paper over all reacting surfaces. Sealed much better . When finally got it going, worked a lot better. … It is observed that the Foam is really counter-productive, as the reactor starts up it produces far more Gas but as the foam starts to push up there is a noticeable drop in production. … I re-sealed the plates and Success – very even voltage drop 1.88 v across each(some 0.02 V difference). Tero – Faraday : 1 cell, 1 A, 0.627 LPH litres per hour. – Power Efficiency : watts for 1 LPH …good one 2.5 – 3.0 w/LPH. 7-6-06 with new power supply direct (no battery). Now I can pump some current.! can go up to 4 A but this is not too good because of excessive foaming – reduces output Gas. So first run with little foaming over top of cells . . . . . . . .
3.4 A, 13.2 V, 73 sec, 200ml frothing.. 9.8 LPH,,, 4.5 w/LPH….. So we see that the efficiency goes down when frothing shorts over top of the open cells. The design of TALL open series cells appears to exagerate this problem, as the bubbles rising have less space to spread and tend to push up the electrolyte. …So I reduced sodium hydroxide level to what I think is 10 % , and what a difference. I ran the reactor for 7 Hours at approx 2.2 A. Then did Test run , had very small amount of electrolyte over two cells: 13.1 V, 2.3 A, 73 sec, 200ml , , , , 9.8 LPH , , , 3.07 w/ LPH. … One Feature of my bubblers and cell is that the top is able to blow off. So allowing some margin of venting. … Now the voltages across each individual cell, starting from the Positive side : 1.91 V, 1.88 V, 1.87 V, 1.87 V, 1.87 V, 1.87 V Ending on the 0 Volts side. So I am thinking that more ” conditioning ” will be needed. The differences in Voltage are so small that it is probably surface area efficiency that is making the difference. We will see. … Note these are only test units as I am not sure if the electrolyte will deteriorate this plastic. I had a similar plastic disintegrate after prolonged contact with 60 % solution. I confirm again that standard pipes in 304 Stainless Steel for GATES, in 2″, 3″ and 4 inchies, even the thin ones (1.2 mm thickness), are explosion resistant to Hydroxy. 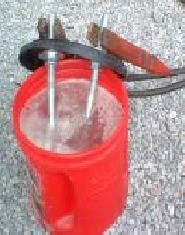 When well closed, welded or with a cap screwed, as bubbler or main body of electrolyser, in case of igniton at the exit of the gas pipe, NOTHING HAPPEN, except that we see the flame going to the pipe, like in the picture below, if we use transparent tube, and after that no noise but from the aspiration of air/water caused by the ‘implosion’ of the hydroxy contained in the electrolyser. During one of the tests we get the ‘fire flash back’ going inside and igniting the gas bubbles just produced in the water, between electrodes, in a 4″ diameter pipe, 1,2 mm thick, 1 foot high, with over than 2 litres of electrolyte, and it created vibrations of the all apparatus and the ground around it, with a noise same as ‘water boiling furiously’ for 3 seconds, and then nothing more. The electrolyser was never disturbed by this ignition tests, and just few seconds were needed between 2 firing, the time for the electrolysis to produce enough gas again. I want to repeat that this metallic vessels are the only suitable for Hydroxy gas Generator, and that plastic pipes are dangerous, AND USING GLASS FOR AN ELECTROLYSER IS UNCONSIOUSNESS, because if it comes to explode it can create very profound and painfull wounds !!! Over time the filter will get clogged with Potassium, just remove it and back-flush it with water or place it in a pan of water and blow air thru it from the outlet side. The best way to tell that it’s getting clogged is with a vacuum gauge. You really should invest in a vacuum gauge if you are going to run a hydrogen generator. The filter is roughly 5″x1″x1″ and will run in any position but the outlet tubing connecting to your air plenum should be on the top side. – The water : Tap water can be so unreliable because of the dissolved solids. Personally I use ONLY distilled/dionized water (water for battery without the acid) + Sodium Hydroxide (Lye/Red devil drainer). – The Electolyte : Used properly, with 304 or 316 stainless steel, NaOH or KOH make a very clean and efficient catalyst. Be careful of these chemicals because they can burn your skin and eat nice little holes in your clothes. 2…For best electrode life lye and distilled water is the way to go. Good quality 304 or 316 works well, 316 is best, the electrolyte or the electrodes do not get consumed, just the water. While many other materials will work, the unwanted reactions consume material along with the water and create unwanted byproducts. only need to add distilled water to the electrolyzer, while Lye stays in the electrolyser. , then let it run and heat up, checking current draw. If needed, add more and wait for the heating to stabilize, until you reach your target operating current. 4…Red Devil; Lye Crystals. Just be sure it is at least 99.99% pure Do NOT use any electrolyte but pure sodium hydroxide (NaOH). There are many reasons, including efficiency, materials compatibility, foaming, etc. 6…NaOH is compatible with this plastics : LDPE= Low Density Polyethylene //HDPE = High Density Polyethylene // PP = Polypropylene //PA = Polyallomer // PC = Polycarbonate, Lexan // PSF = Polysulfone// PMP = Polymethylpentene // FEP – PFA= Teflon //ECTFE/ETFE = Halar/Tefzel // PS = Polystyrene //PVDF = Polyvinylidene Fluoride. 7…The NaOH solution saturated my resin containers in numerous places and eventually leaked through. Lye is used as a filler in some fiberglass resin hardeners. it’s working beautifully as a connection cement. Lye is not used in all fiberglass resin hardeners. 8…(NaOH).Sodium hydroxide is one of the most commonly used industrial chemicals, used as a strong-base cleaning agent or to neutralize acidic processes.This is used in everything from soaps to plastics, paints to drain cleaners.Your dentist even uses it to clean your teeth before filling. 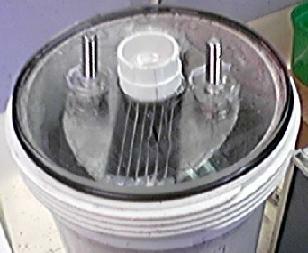 9…Sodium hydroxide has a reactive affinity with aluminum and thus can corrode any aluminum parts like heads or pistons if it gets into the fuel line.This, however, is prevented by any simple bubbler, connected along the fuel line and by the design of the reactor chamber and gas storage buffer system.In a properly designed system, NO NaOH will get into your engine. 1…KOH is more expensive but better performance than NaOH. Maintain as close as to 28%KOH. NaOH and KOH will attack aluminum, that’s why we use bubblers to dry and filter the vapors of electrolyte. – Baking Soda, bicarbonate : I suggest you avoid baking soda, or salt for that matter. You cannot see, taste, or smell, the nearly 30% carbon monoxide that using baking soda in electrolysis generates. At least you can smell the chlorine from using salt. Mon Nov 14, 2005 oupower.com. Baking soda is consumed by the reaction. Unless you’re wanting to kill yourself and any loved ones. – 1…In one of these threads Bob wrote that using salt produces chlorine gas. It puts out large amounts of deadly chlorine gas, which becomes a health hazard for anyone in or near the vehicle. – 2…On top of that, chlorine is highly corrosive, much more so than salt by itself. It will rapidly take its toll on the engine components. 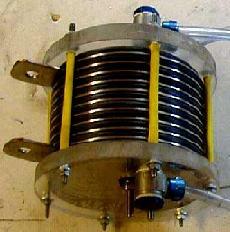 It will also destroy the electrode metals, even stainless steel is vulnerable to it. Salt is one of the worst things to use as an electrolyte, it produce deadly gas, and eat up the plates in very short time! ## If you have problem with FOAM, created and coming out from your electrolyzer or bubbler, try to give a larger free-space on top of the plates, also try to reduce the current density (amperes per inch square) or try a friend’s discovery : add a tiny amount of diesel fuel to your electrolyte, and the surface tensions will change and any foam collapse ; thanks to Abdul Muttalib for the trick ! ## Solution to auto-clean the plates; Using MDG simple 6-7 cells series electrolyser design, usually after 3 months (frequency depending on the quality of the water you use) the machine would need to be opened and cleaned because of the organic/mineral film forming on the plates, and RESTRICTING the current flow. Less current in straight DC electrolysis means less Hydrogen output, and then less fuel saving … So a friend Abdul Muttalib, former Sciences School Teacher, having studied Standard Chemistry, told me he was searching for a chemical to add to the water in the cell that would auto-clean the plates, removing the deposited film ; a promizing goal. Then in February 2007, one year after he installed his electrolyzer on his van, we tested the Barry Carter Wet Method to create Ormus Precipitate from Sea Water, and he get the brilliant idea to test some of the First Wash Water on his electrolyzer (the top water we trow away when Ormus have settled on the bottom, SEE ORMUS SECTION OF THIS WEBSITE)… Bingo ! This High PH (10.7) Very Salty Water Without Ormus Inside (because they were precipitated already), solved the problem : now the water still redish inside the cells, but the current is no more decreasing with time, like if the insulating film was no more forming on the plates; since many months now (around 6-8) he didn’t clean his electrolyzer, because the current level flowing still the same. This film forming on the plates and kind of insulating them, restricting the current to flow, is the effect looked for in Meyer’s WFC Replications, like those from Dave Lawton, Ravi Raju or variants like Bob Boyce or Peter Lowrie (see links on menu above) ! Meyer’s concept is using Pulsed Voltage Potential to break apart the H2O molecules, and MUST restrict current at maximum possible to flow. But it is not wished in straight DC electrolyzers, where we use current to split the water molecules. My opinion is that the High PH Water added to the electrolyte, had the effect to precipitate the Ormus present in this electrolyte and on the plates, and then under this new precipitated Hydroxide form they were no more able to build the insulating layer on the plates, then allowing the current to flow. I hope that this simple test to use’Water Free from Ormus’ as electrolyte, not allowing the formation of the insulating film, will be the prove that THIS FILM IS MADE FROM ORMUS MATERIAL. On the opposite, using water enriched in Ormus material, like Magnetic Trapped Water, should allow a faster or more efficient formation of the insulating film. Thanks to Abdul Muttalib for the brilliant discovery! – Insulation doesn’t prevent the transfer of heat, it slows it. Therefore the heat in the unit would be exchanged slower, and it would take longer to freeze. – Both ethylene glycol and propylene glycol are clear, colorless, slightly syrupy liquids at room temperature. – Alcohol evaporates faster than water in solution so any excess heat (inefficiency in electrolysis) the alcohol vaporizes and is sucked into the air intake and the water is left behind and if the temperature gets too high the ethanol turns into methanol which is deadly. A few drops can kill you if swallowed. 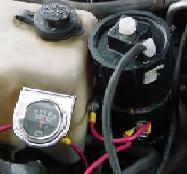 with 6 cells in series, from 12-14V from a car, each cell will get around 2 volts, what is closed to the minimum needed for electrolysis to happen, so the efficiency will be very high, the heat no to important, and then no need for electronic, only a relay to start/stop the system with the engine, that’s my conclusion after months of practical testing of many kind of design. Cheaper, more Reliable because no electronic, and also very efficient and can be made by any iron engineering work shop only. It seems that Utopia Technology succeed in this, by using sensor sand a processor to always adjust the right frequency, following the evolution of the parameters. But they won’t tell you that they use the Vacuum Energy Excitation to get it to involve in their electrolyser’s work. AccaGen has developed special electrolyzers with maximum efficiency (>85%) for energy storage in renewable energy systems applications like Sun, Wind, Hydro. Devices with 200 bar gas delivery pressure avoid the necessity of using costly, maintenance intensive and energy consuming gas compressors in applications where bottle filling is required. 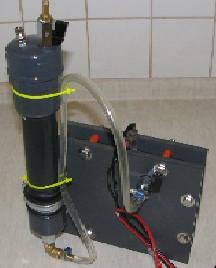 Custom designed electrolyzers based on alkaline, acid and PEM electrolytes.